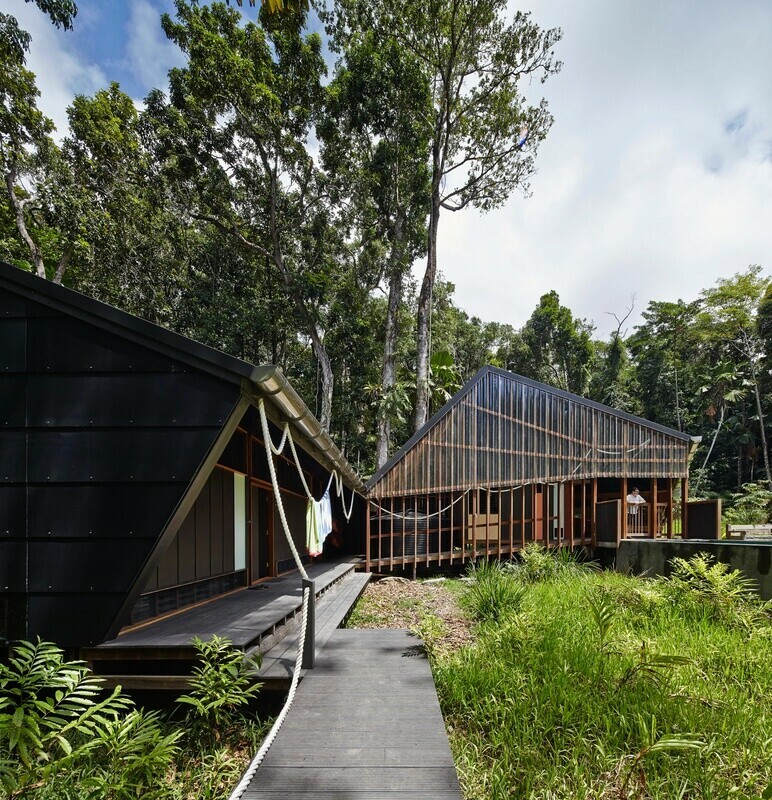 M3 Architecture have designed Cape Tribulation House, a holiday retreat located on the northern coast of Queensland, Australia. 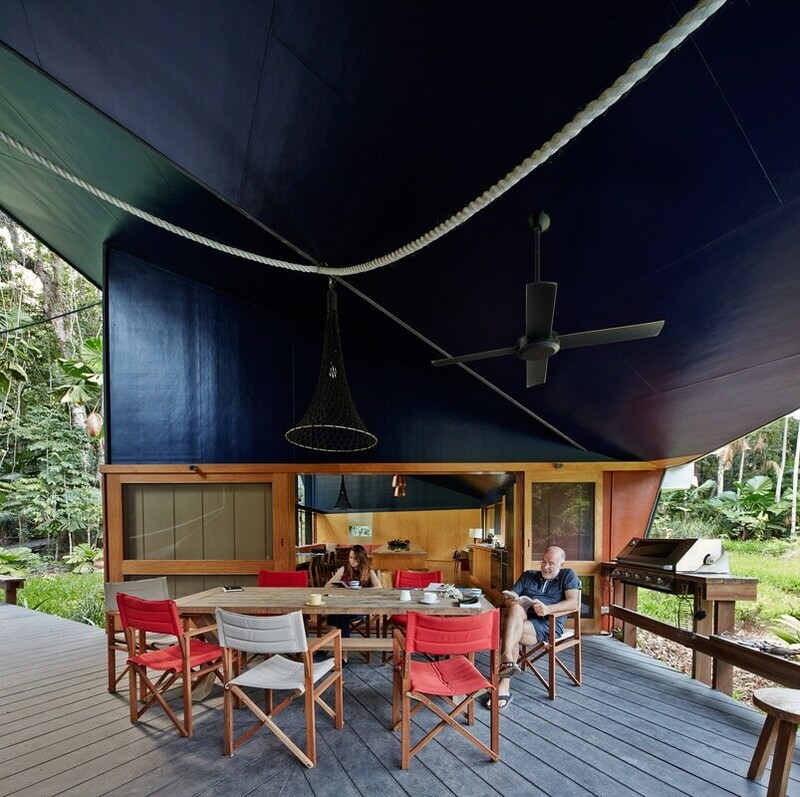 Description by M3 Architecture: This house is off-grid in the Daintree Rainforest, close to the beach at Cape Tribulation. 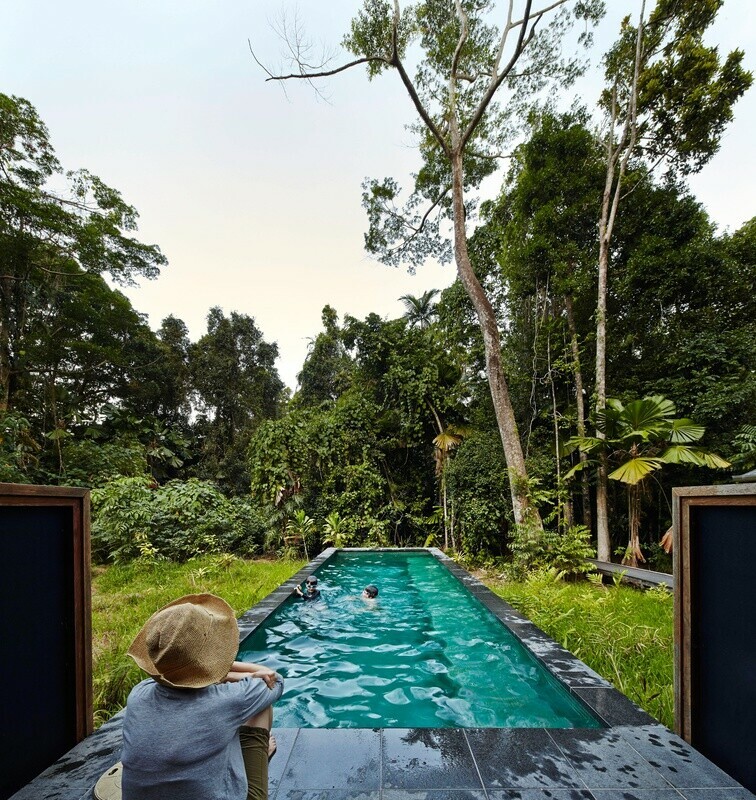 This is an ancient ecosystem deserving of a sensitive approach to site. 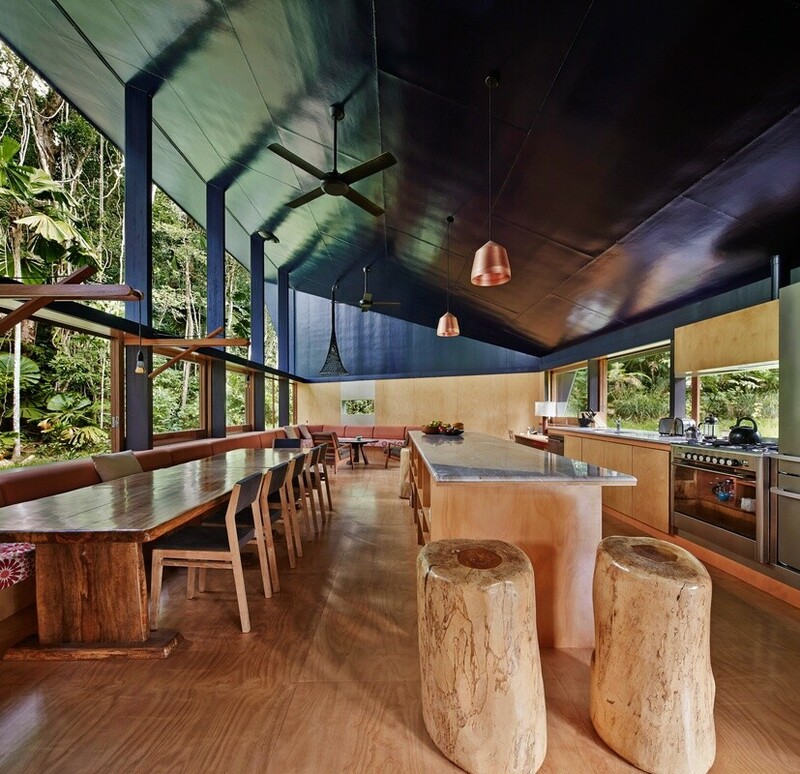 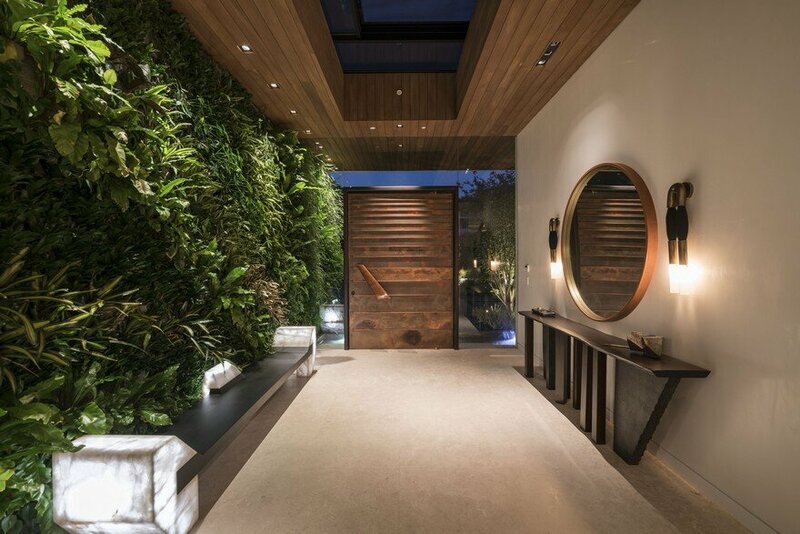 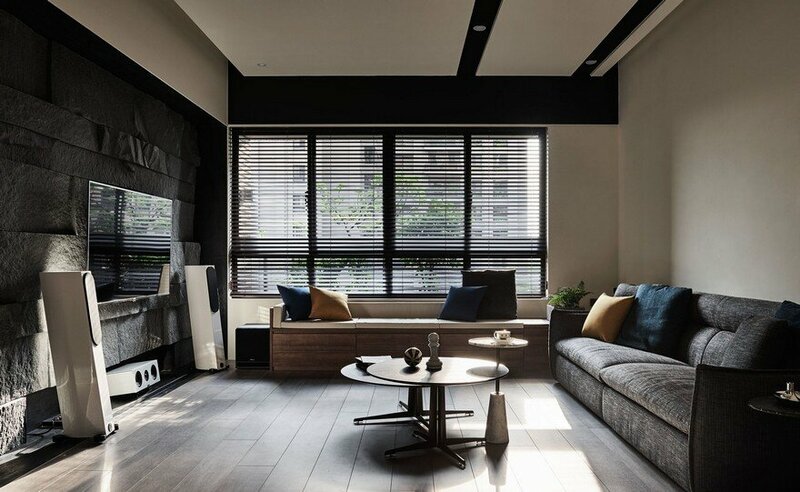 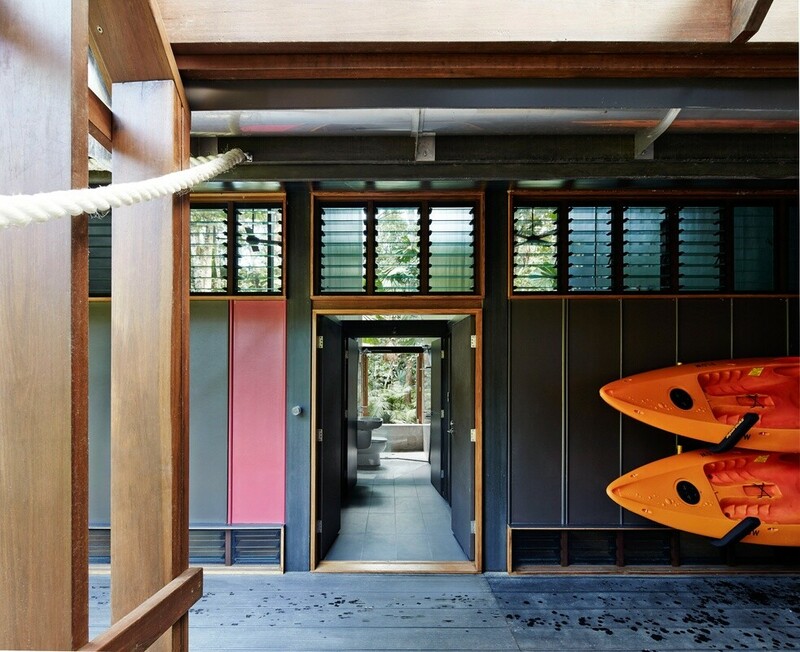 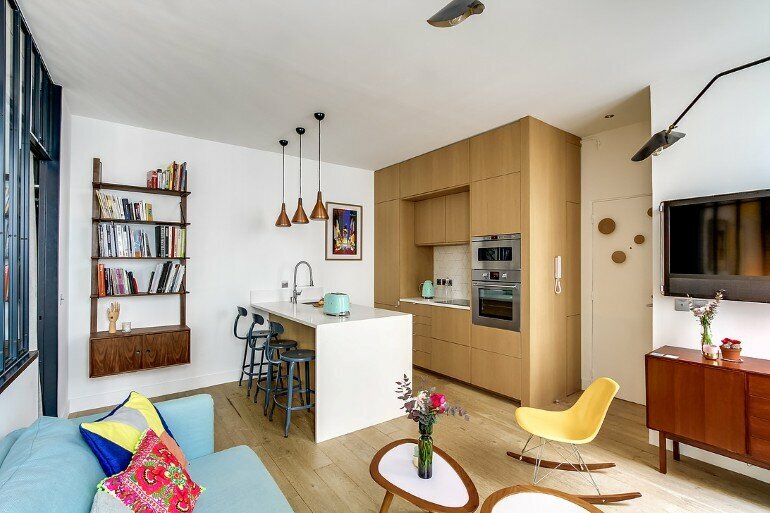 The design accentuates qualities of the rainforest coupled with attributes of holiday life at the beach. 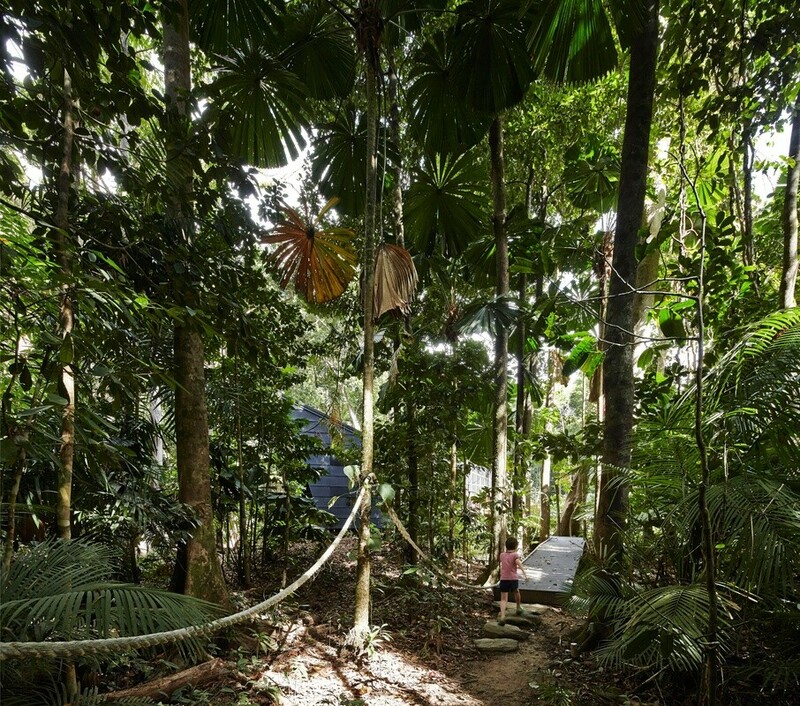 A path organises the site and choreographs a journey from the road, through the dense rainforest vegetation and down to the beach. 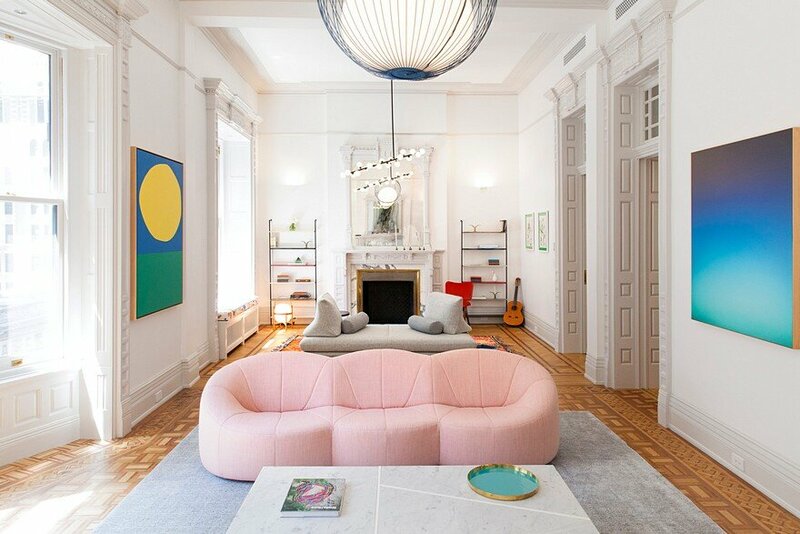 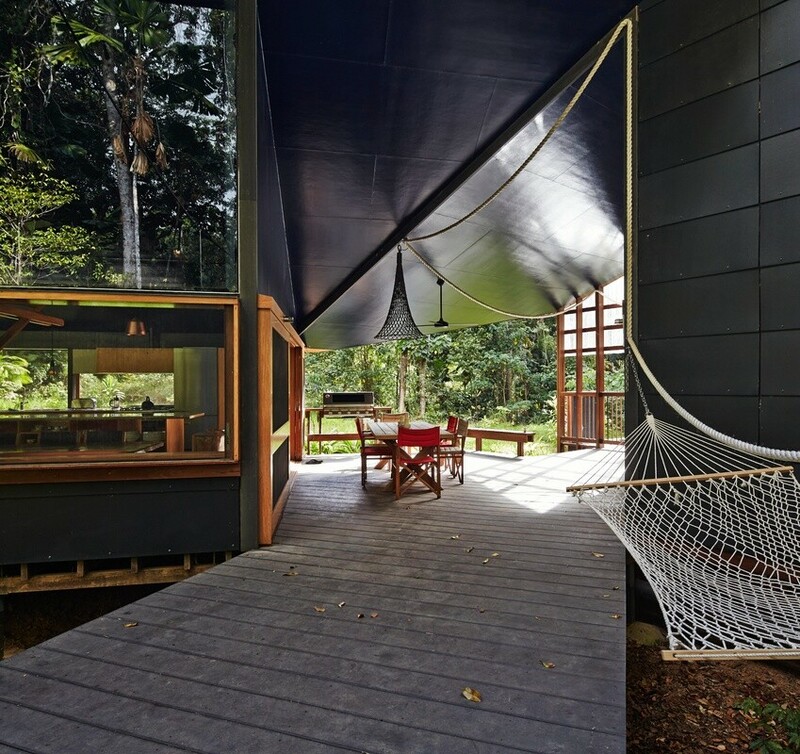 Along the path, a continuous white rope orients and playfully leads the way through the landscape and house, performing feats of domesticity along the way: a gate, a balustrade, a towel rail, a lamp shade and support for a hammock. 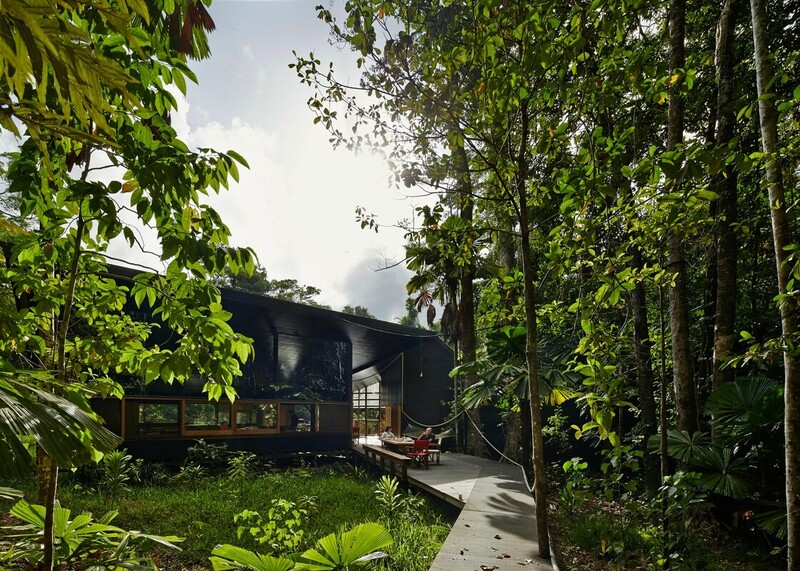 Cape Tribulation House is located along the path in a natural clearing, avoiding any mature tree removal. 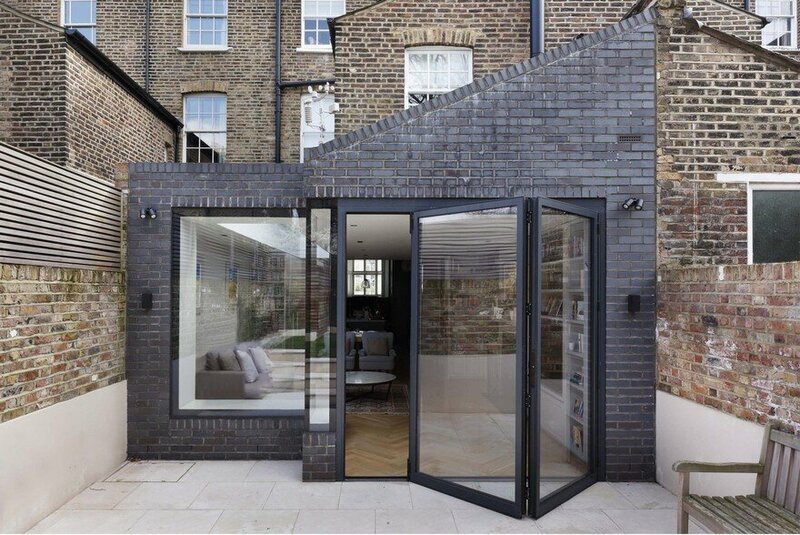 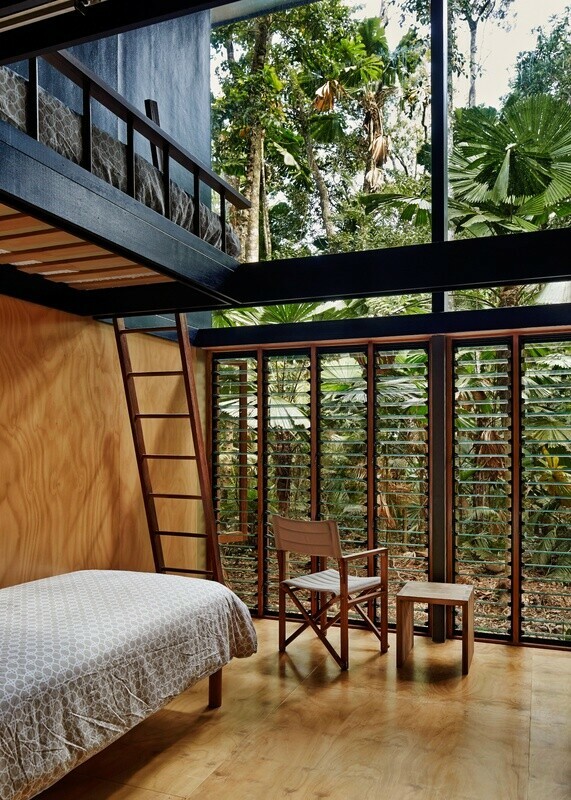 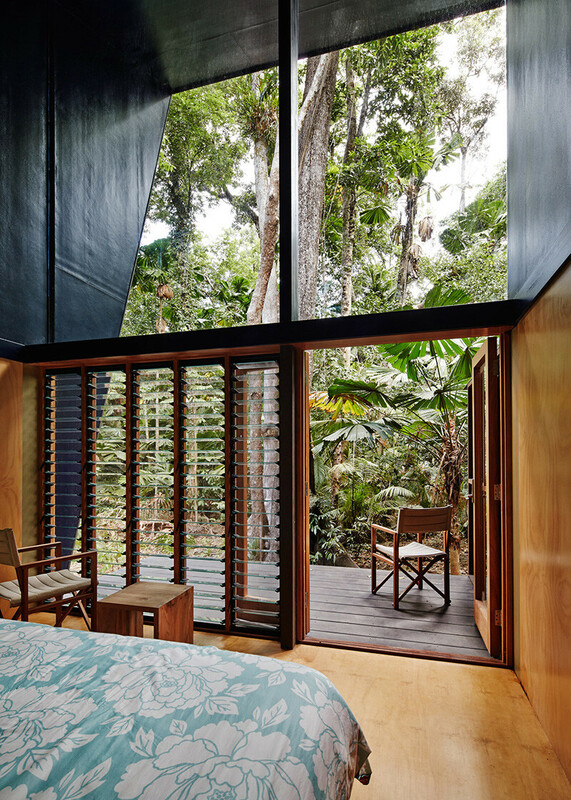 The exterior of the house is camouflaged with black plastic cladding and mirrored glass, allowing it to recede into the shadow of the rainforest canopy. 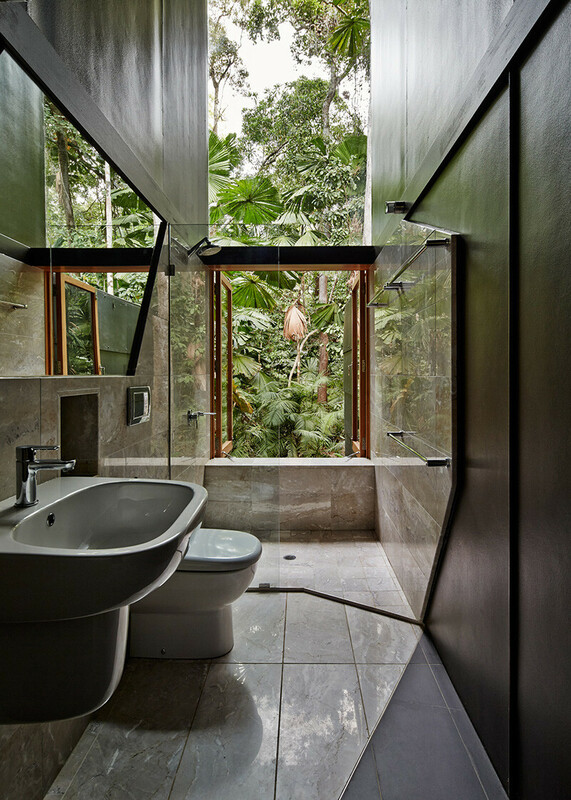 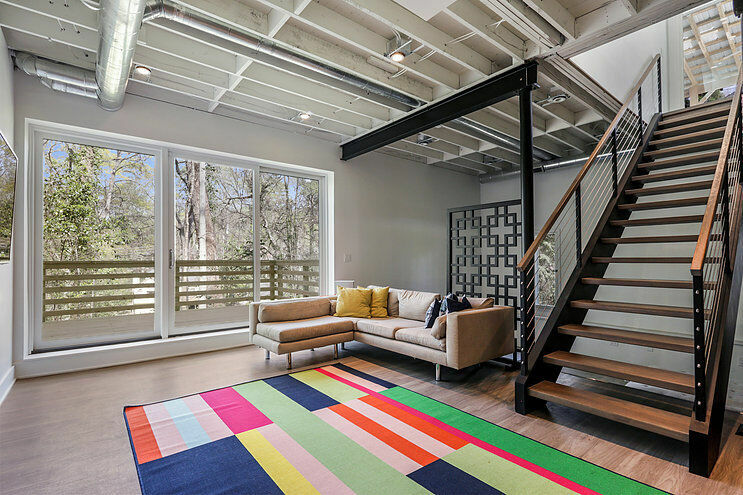 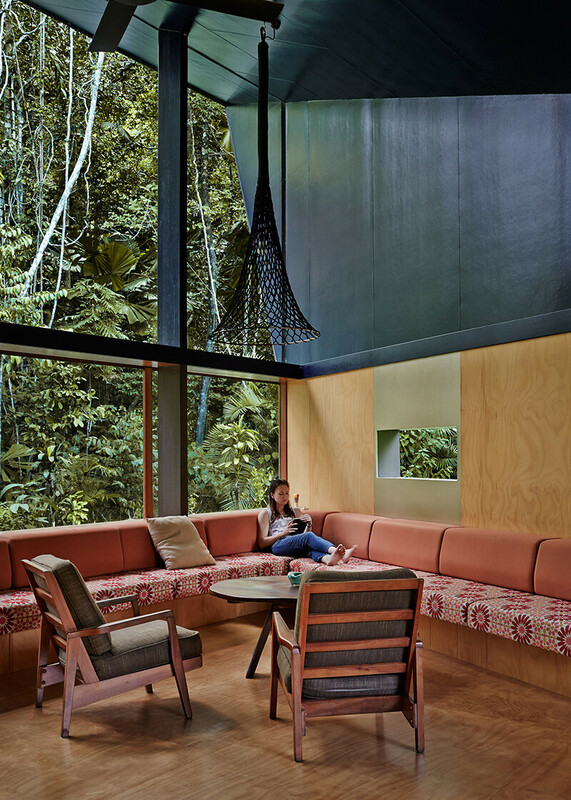 On approach, the interior of the house becomes apparent: a light space clad with plywood, a counterpoint to the otherwise cool, dark green of the rainforest surrounds. 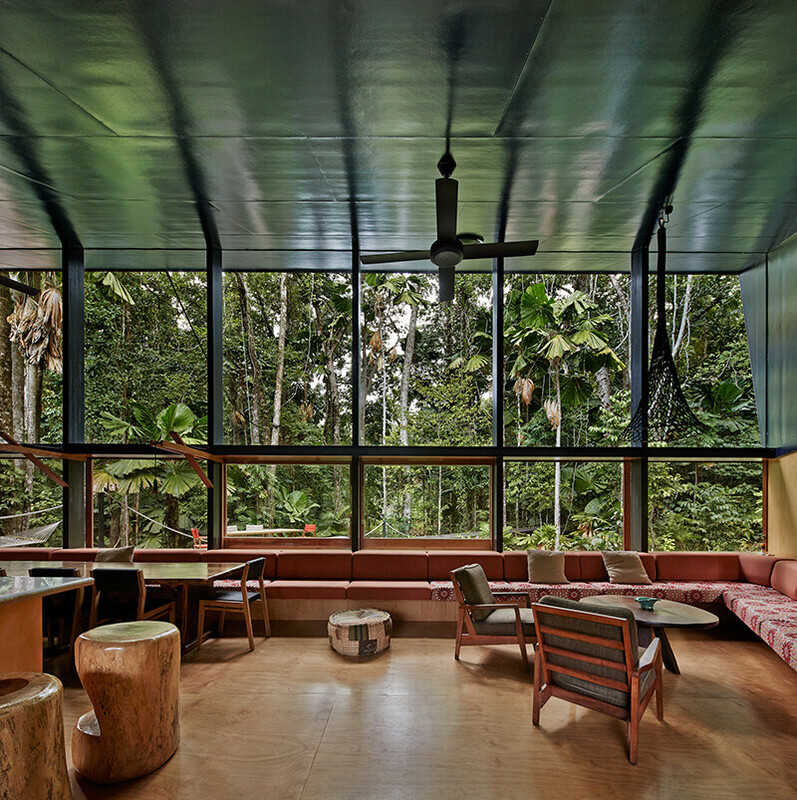 These spaces engage the rainforest canopy via tall south facing windows and a dark blue ceiling foreground is used to draw in the rainforest canopy.